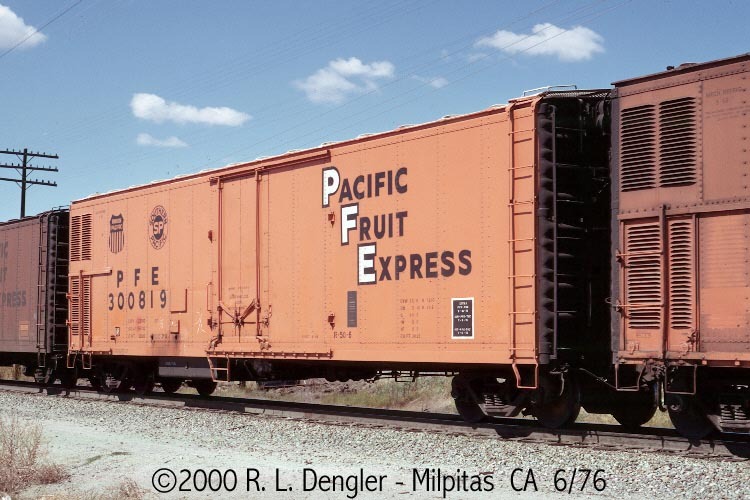 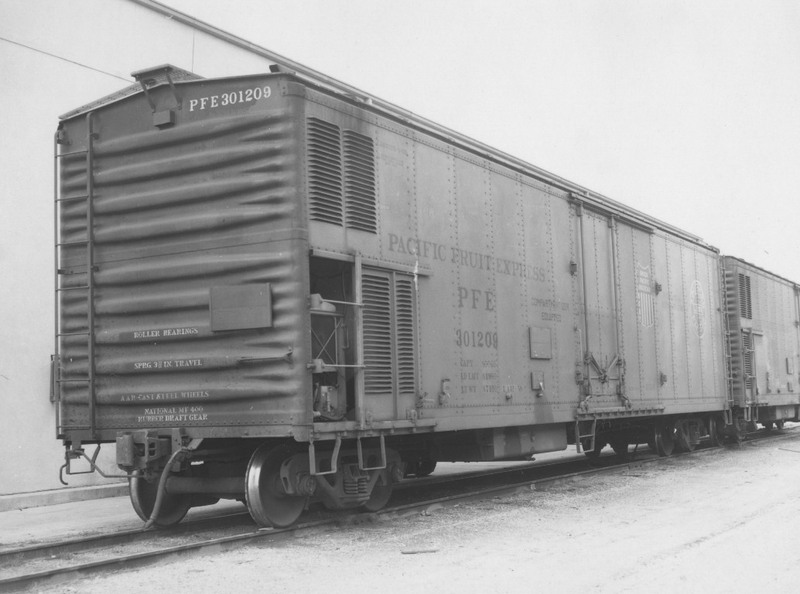 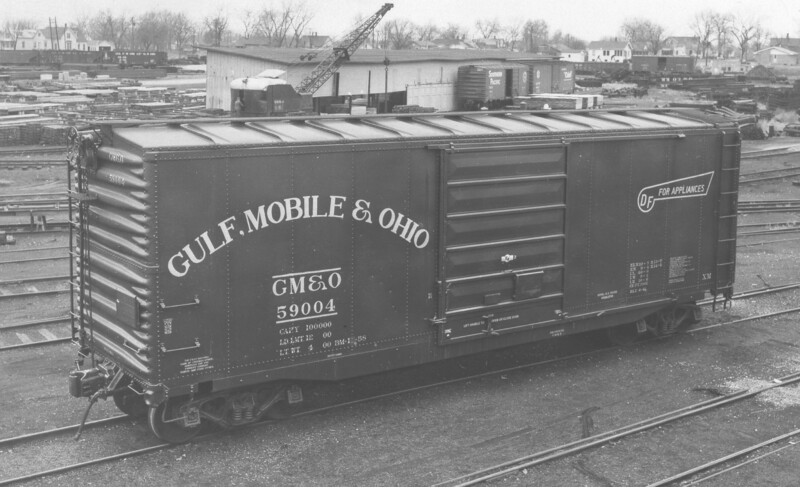 These 50' steel mechanical refrigerator cars were all built to the same basic design by SP Equipment Company in 1958 and featured XXXX ft3 capacity and a 6'-0" plug door opening. 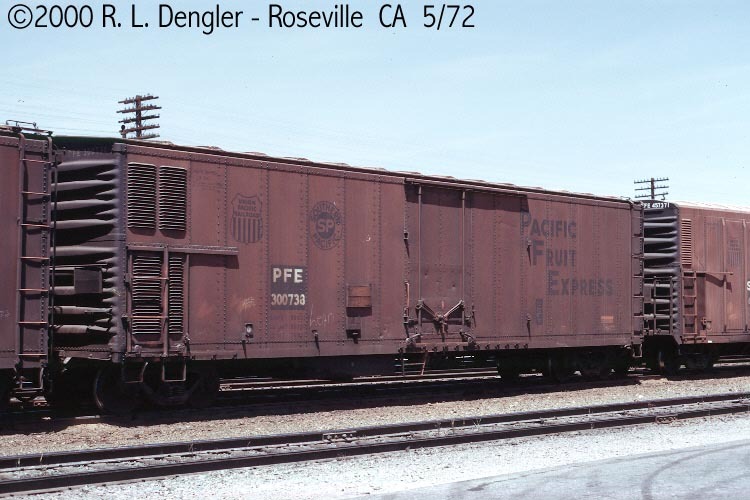 An unknown number of remaining cars had their mech reefer equipment removed in 1972-74 and were renumbered in the 390713-391212 block for TIV service (Top Ice Vegitable), in which crushed ice was simply blown over the load. 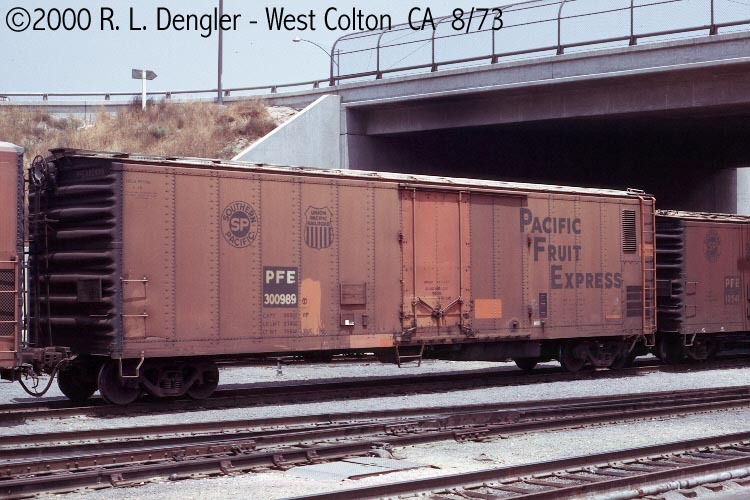 Modeling Note: This class is similar to Athearn's riveted-side 50ft mech reefer.